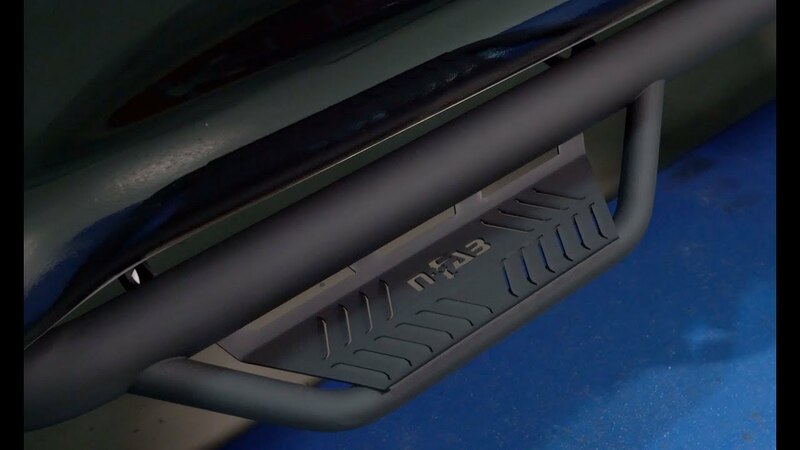 Patented N-FAB hoop step design featuring an all-new expanded and enclosed sure grip step plate, for ultimate vehicle access in any condition. 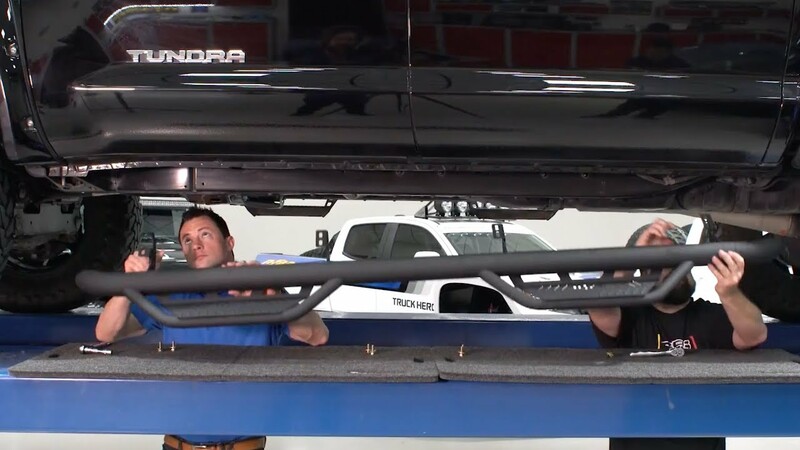 The N-FAB Podium LG & SS Nerf Steps has a 3" Main tube diameter, allowing this application to fit high & tight to the vehicle body for a clean modern style. Created from Stainless Steel construction, the N-FAB Podium LG & SS Nerf Steps is available with either a high polish finish or textured black powder coat. The N-FAB Podium LG & SS Nerf Steps has a lifetime finish warranty on polished stainless steel, 5-year finish warranty on textured black finish and lifetime craftsmanship warranty. For the ultimate vehicle access experience in any condition! *Note: These steps are only available in cab length only. The N-FAB Podium LG & SS Nerf Steps can be installed easily. Includes two steps and all hardware necessary for installation. Product comes with easy to understand vehicle specific installation instructions.